Former Players at the club's 5,000th competitive match. Click on the magnifier to obtain a larger image to more easily identify the players. Then point to a particular person on the image to obtain an even larger image. Have fun! With the help of John Simonett and Ron Etheridge we’ve been able to list everyone in the picture. 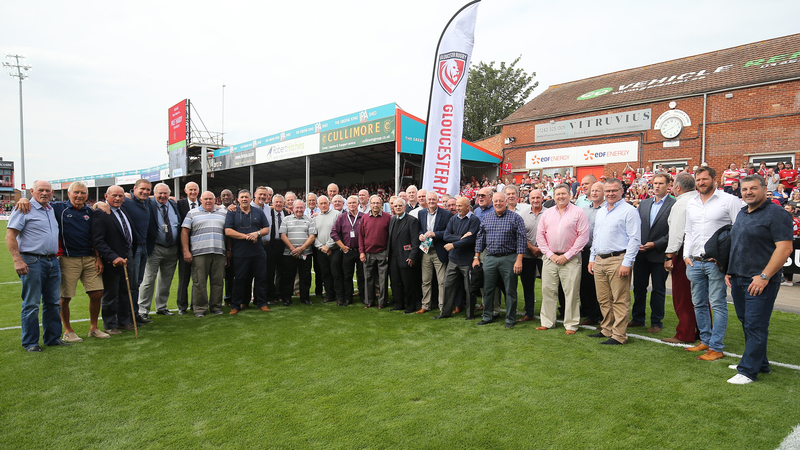 The following former players were also on the walk around the pitch but are not shown in the photo: Peter Ford, Eric Stephens, Steve Ojomoh, Dave Fell, John Hawker, Glynn Mann, Keith Jones, Nigel Scrivens. However, you may be able to identify them in the YouTube video of the walk.